In pharmaceutical settings, accuracy in precision laboratory measurement is critical. From precision balances and moisture analysis to precision and touch-less balances (and more), we offer a broad selection of weighing products ideal for the pharmaceutical industry along with the necessary calibration services. 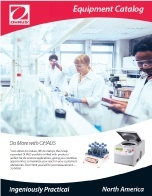 From stirrers to shakers, lifts to clamps, the newly expanded OHAUS portfolio is filled with products perfect for life science applications, giving you countless opportunities to maximize your reach in your customer’s laboratories. Don’t limit yourself to just measurement— do more! 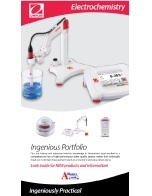 Check out the complete list of product offerings by downloading our catalogs. 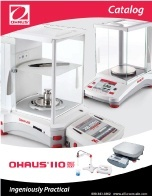 With our extensive industry knowledge in laboratories, we provide laboratory weighing solutions that continually meet our customers’ measurement needs at economical and value driven prices.